artma is a unique, funky, fabulous art auction and fund-raising extravaganza like no other and is embraced by those that believe deeply in the healing power of art. Started in 2001, artma is a biennial (once every 2 years) auction of art, generously donated by local, regional, and nationally recognized artists. At each highly anticipated event, artma hosts over 1,000 guests and sells over 200 pieces of art to benefit The Morgan Adams Foundation. At first glance, it might be difficult to see what boxing and finding a cure for childhood cancer have in common, but for us, it’s perfectly clear. Both require focus, dedication, and the strength to persevere in the face of failure, all for the rare moments of triumph. That’s why it’s fitting that the main event of Friday Night Fights is The Morgan Adams Foundation vs. Pediatric Cancer. The Morgan Adams Concours d’Elegance is a highly anticipated fundraiser featuring a spectacular display of collectible, rare, vintage, and exotic automobiles, aircraft, and motorcycles alongside a live and silent auction with cocktails and fare from Denver’s best restaurants. The Petri Dash is an annual 5k fun run/walk that helps raise funds for pediatric cancer research. The original event, called Grace’s Race was created by a young cancer survivor named Grace Petroff after she completed treatment and decided she wanted to give back to the doctors who saved her life and help the next kids diagnosed with cancer. The Race Against Kids’ Cancer is an exiting weekend of vintage car racing supported by local racing clubs. Rocky Mountain Vintage Racing (RMVR) hosts an annual summer race at High Plains Raceway in Deer Trail, Colorado, while Corinthian Vintage Auto Racing hosts an annual fall race at Texas Motor Speedway in Dallas-Ft. Worth, Texas. Zach’s Chili Challenge is our food and beverage competition featuring unlimited samples from Colorado craft breweries, small-batch distilleries, and chefs from local Denver restaurants all coming together to “Bring the Heat and Bring the Hope” in support of children and young adults who are in the fight against pediatric, adolescent and young adult cancer. Guests cast their vote for their favorite chili, beer, and spirit alongside a panel of food critic judges to crown the champions. What’s Up Doc? is our annual reporting breakfast where attendees hear directly from our internationally recognized pediatric cancer specialists and learn how an investment in fighting kids’ cancer is being put to good use! Breakfast will be served while our docs discuss current projects funded, as well as provide insight into the future of cancer research and their expected results. This is a great way for you to learn about the work you are making happen, and a truly meaningful way for you to share your support of kids’ cancer research with friends, family, or colleagues. 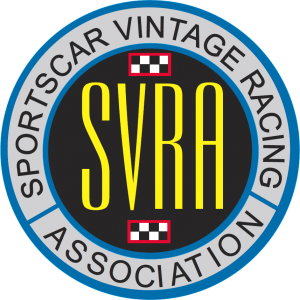 World-class vintage racing returns to the Indianapolis Motor Speedway for SVRA’s Brickyard Vintage Racing Invitational. Some of the world’s finest vintage racing machines will take to the track, some of which date as far back as Pre-WWI. An incredible collection of race cars will be showcased, including Bugatti, Lotus, Corvette, Ferrari, Jaguar, Aston Martin, and Alfa Romeo. The Trans-Am Series will be a part of this race weekend. The Indy Legends Charity Pro-Am race returns, pairing veteran Indy 500 drivers with amateur racing partners driving Corvettes, Camaros, and Mustangs in a 45-minute race on the Indianapolis Motor Speedway road course. 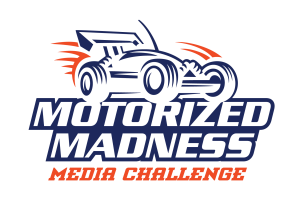 The Motorized Madness Media Challenge is a morning of remote control car madness at Children’s Hospital Colorado! Come out to the Children’s Colorado Emergency Department parking lot for a slate of RC races leading up to the championship race. The four-person teams will be made up of a pediatric cancer patient,a local media or sports personality, a race car driver/owner, and a sponsor. Join The Morgan Adams Foundation and RMVR for our 9th Annual Race Against Kids’ Cancer! This event will be held at High Plains Raceway – 93301 E. US HWY 36, Deer Trail, CO 80105-8705. Please click HERE to register today or click HERE to sponsor a driver! The Morgan Adams Concours d’Elegance is an exclusive, exhilarating aircraft, automobile, and motorcycle preview with silent and live auctions. The event brings together a collection that spans all collectible eras, representing an incredible array from the earliest significant air/auto/moto to breathtaking modern jets and super cars. The list of attractions at this event boasts one-of-a kind vintage vehicles, one-off-assembly automobiles as well as custom private jets and extraordinary vintage aircraft. The money from this event helps fund children’s cancer research. The Morgan Adams Foundation is a 501(c)3 organization dedicated to improving the quality of life and survival rates of children diagnosed with pediatric brain tumors and other rare cancers. Join The Morgan Adams Foundation and CVAR for the 3rd Annual Race Against Kids’ Cancer in Texas!